In hindsight I was almost certainly receiving stolen property, but on that day in 1976 the idea that Gary’s uncle had simply given him the two LPs that he was subsequently gifting to me seemed perfectly reasonable. 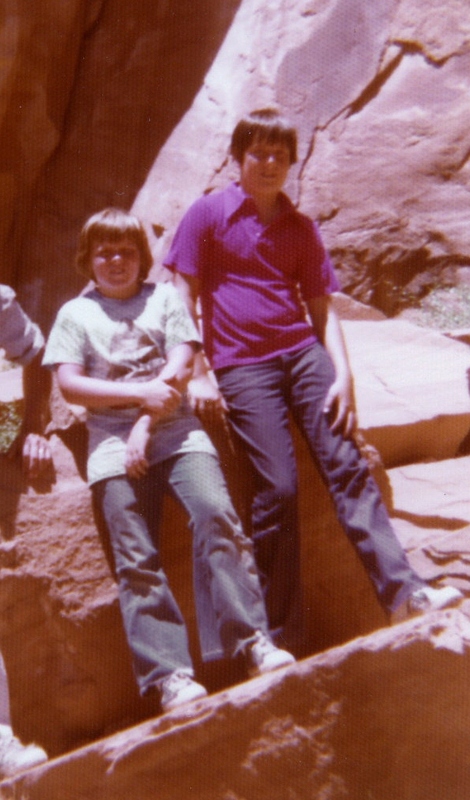 Gary and I had been best friends since roughly the age of seven and now, having both just turned 12, we knew each other pretty well. Given my penchant for forcing him to repeatedly listen to my small collection of 45s, Gary was well aware of my interest in music. I imagine he also suspected correctly that the reign of singles by Ringo Starr and Cher as my most-played favorites was soon to end as our initial steps into puberty were accompanied by growing curiosity about more “mature,” but still seemingly kid-friendly, musical fare such as KISS and Alice Cooper. So when Gary showed up at my house with used copies of Black Sabbath’s Paranoid and Pink Floyd’s Ummagumma albums and a convoluted story about his uncle’s generosity, he found a receptive audience. It somehow made sense to me that Gary’s mom’s younger brother would give him the albums even though Gary’s strictly religious parents would never let him keep them. That he accepted the gifts solely to be able to pass them along to me sounded right. I happily took Gary’s offerings and, just like that, I was the proud owner of my first “heavy” music. We knew nothing of the groups’ music but were certainly informed enough to be aware that Black Sabbath worshipped the devil and that Pink Floyd made music for people who were on drugs. Lacking confidence in our ability to stay cool in the face of a satanic apparition, we opted to put Ummagumma on the turntable first. Not only did we not know how or where to get drugs, we had no interest in jumping off roofs in the belief that we could fly – our understanding of how drugs affected folk – so there seemed less danger in trying out Pink Floyd. Nothing we had listened to previously had prepared us for the strange sounds of what I now recognize as Pink Floyd’s least approachable album however, so Gary and I failed to even make it through an entire side before lifting the needle and moving on to other activities. Some months after receiving my presents from Gary, I finally did get up the gumption to listen to Paranoid and loved it immediately. I started playing it regularly and loudly. While Satan’s failure to appear during the first few spins quickly extinguished my own fears that I might be risking demonic possession, my parents were less sanguine. I have fond memories of the middle-of-the-night visit to my room by my relatively newly-minted stepdad after a worrisome dream led him to hurry downstairs to check whether I was listening to that damn Black Sabbath music. (I wasn’t.) Apparently, he’d had a nightmare in which I was being set upon by dark forces. I remember the event fondly as an early and reassuring indication that this new dude in my house actually cared about me. As it turned out, Ummagumma was the record that I would become unwilling to play while alone at night in my darkened room. The live tracks on the first disk created a floating-alone-in-the-cold-depths-of-space mood that I’d need a few more years of maturing to be able to enjoy, while the often discordant and just-plain-weird studio recordings on the second platter simply freaked me out. Even the album cover with its endless mirror image that wasn’t actually a mirror image as the band members changed places for each iteration made me uncomfortable due to its incomprehensibility, leading me to take care that it was never placed at the front of my record stacks where I might inadvertently glimpse it. More than 35 years later, I still love Paranoid and can’t imagine tiring of it. The early Black Sabbath albums – Paranoid was their second LP – are often credited as birthing heavy metal music and I’m on board with that. The way the crunchy, but measured, guitar riffs grind along over the top of almost-jazzy bass lines and frenetic drumming certainly sounds different to my ears from what came before. 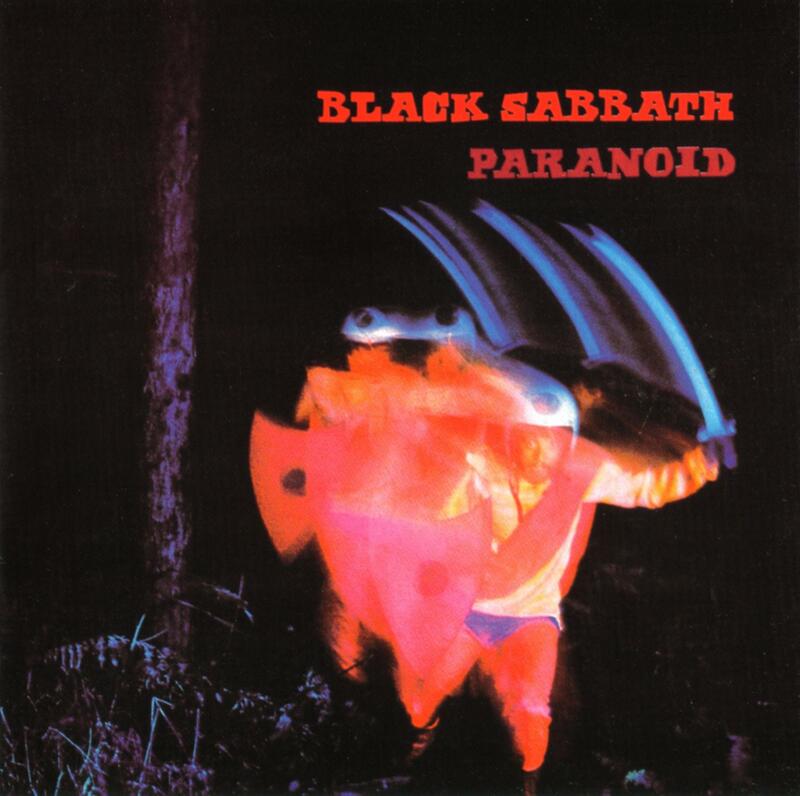 Paranoid hosts numerous tracks, such as “Paranoid,” “Iron Man,” and “War Pigs,” that have earned unchallenged standing within the Holy Scripture of heavy metal, and I love those songs. But for me, it’s “Fairies Wear Boots” with its Ozzy-defining “alright now” lyric and circular groove that is the standout. While you’ll definitely bang your head to it, take time to notice the way your motion gradually strays from straight up and down to something more along the lines of a severely elongated oval. “Electric Funeral” is another corker, sludgy as hell but with a trebly sound that many down-tuned stoner rock bands of today would do well to rediscover. As for Ummagumma, I no longer actively avoid it, but neither do I find myself seeking it out much. I enjoy the spaced-out feeling of the live version of “Set the Controls for the Heart of the Sun,” which smartly leaves out the forward-mixed xylophone and chimes of the studio version from the earlier A Saucerful of Secrets album, and instead inserts something of a Middle Eastern vibe that allows the timpani to more forcefully propel the voyage. “Grantchester Meadows” is a beautiful acoustic song that is nonetheless dragged down by the incessant chirping of bugs and birds layered over its entire length. (It’s about a meadow, get it?) While a short field recording of wetlands and a water bird’s call inserted at one point wholly succeed in gently calling forth a sense of being “in nature,” the insect sounds simply grate. It’s too bad because I have no doubt that a remixed version of the song that omitted the annoying squeaks and twitters, were it to exist, would easily find its way onto my short-list of the best of Floyd. Finally, I note that, despite boasting one of the best titles of all time, “Several Species of Small Furry Animals Gathered Together in a Cave and Grooving with a Pict” fails to qualify as an actual song, and is instead nothing more than a cacophony of uninteresting noise. It has the unique honor of being the only Pink Floyd track I’ve actually deleted from my iPod. 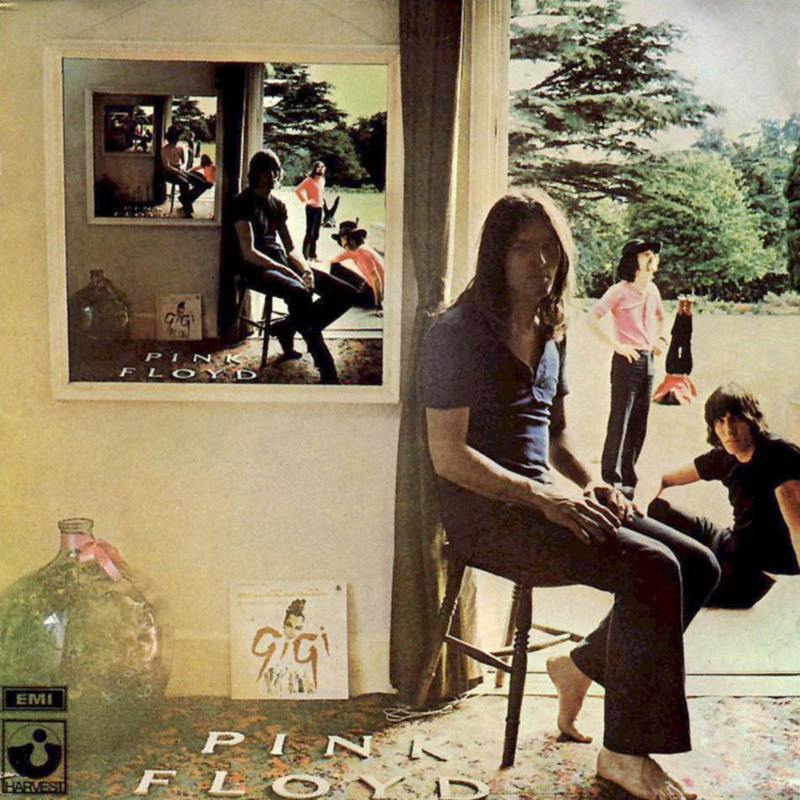 Ummagumma – what a record to start with! Right? Writing this led me to order the new remastered CD version to go with my scratchy vinyl. Cue the darkened room and the four-cornered speaker set up; I’m giddy with anticipation.